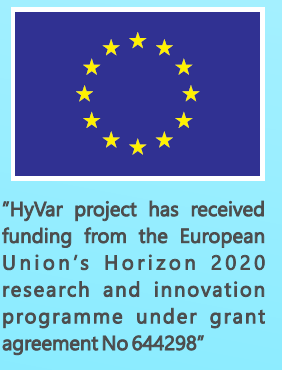 HyVarRec is a tool developed within the HyVar project that allows to reconfigure an existing configuration for a given Software Product Line when it is subject to contextual changes. number of attributes which values could be kept the same. Finally, HyVarRec outputs the configuration Copt, which is the optimal configuration in the given context, satisfying as many preferences of P as possible. HyVarRec could be installed using docker container technology available for the majority of the operating systems. It can therefore be used simply sending a post request to the server deployed by using docker. HyVarRec is written in python, open source, and freely available from https://github.com/HyVar/hyvar-rec.